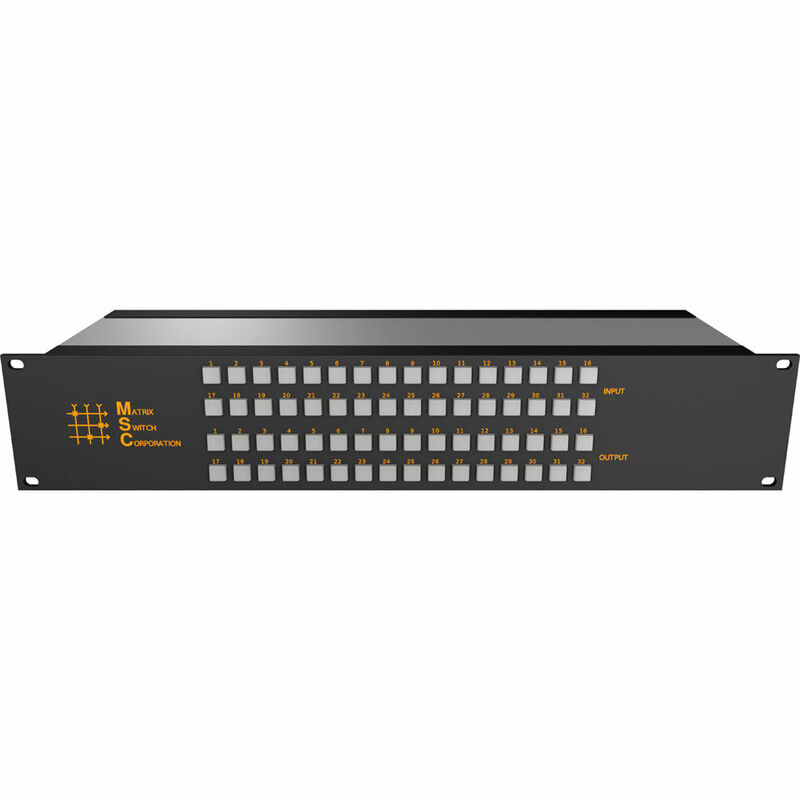 The Matrix Switch Corporation 24 x 16 2RU 3G/HD/SD-SDI Video Router Switch with Button Control Panel offers factory configurable matrix I/O size configurations of 24 x 16. This system is 2RU in height and less than 7" deep, allowing for installation in space- and weight-limited situations. Forced air cooling ensures low internal temperatures for long service life in harsh environments, and a redundant power supply is also included for added reliability. An extra audio option provides audio routing capabilities in addition to the included embedded SDI audio routing support. This option is ordered as a separate 2RU device connected via a D25 straight through male-to-male cable. Either AES digital (MSC-DE3232) or analog stereo audio (MSC-AA3232) can be chosen (both sold separately). The button control panel provides an additional savings opportunity for applications that only use remote control panels, web page interface, telnet, or RS-232 serial control. Box Dimensions (LxWxH) 24.0 x 10.0 x 8.0"